You know how much I love Sprite digis series by Mitzi Sato -Wiuff and finally, I decided to search for some time every week to take part in favorite challenges. 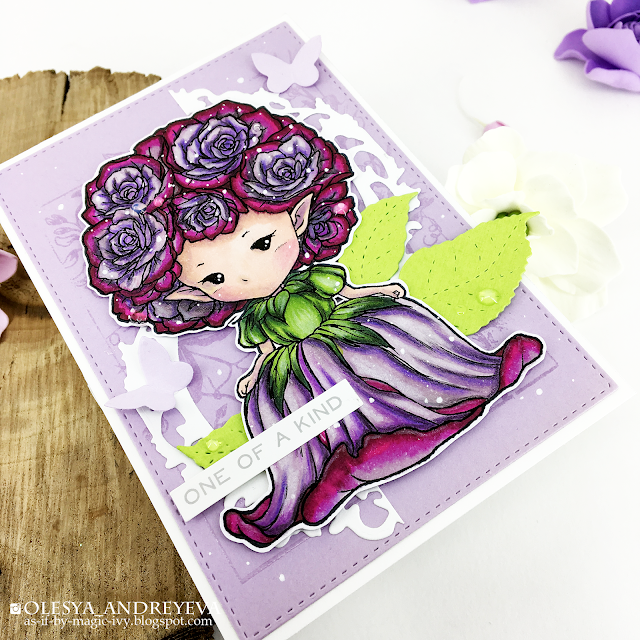 One of them is Aurora Wings challenge blog with the current task - #74 Anything goes. I used Rose Sprite digital image by Aurora Wings. Colored the image with Chameleon pens and pencils. I made her look similar to my fave rose I got in autumn. Such beautiful colours on this sweet image. Thank you so much for sharing with us at the Aurora Wings Challenge.